Not sure what to do with your make up for the races this year? Or, how to make the most out of your outfit and hat/ fascinator? Then be sure to check out the L’Oreal Paris Spring Racing Carnival edition of Beauty Confidential which features H-O-T make up trends and how to guides from make up Director, Rae Morris. 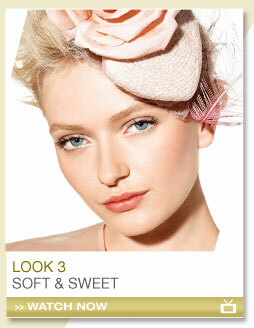 I’m loving the ‘Soft and Sweet’ look for Oaks Day, and the ‘Sultry and Smokey’ look for Derby Day. Be sure to also enter their fab competition to win a VIP race day for two! This entry was posted in Uncategorized and tagged Beauty, L'Oreal Paris, Looks, Make-Up, Spring, Spring Racing Carnival by houseofturtle. Bookmark the permalink.